Thank you to Sarah Beth Smith, Pop Up Gallery Curator! Seductive Promises of Abundance was selected as a part of the exhibition. Neighborhood No. 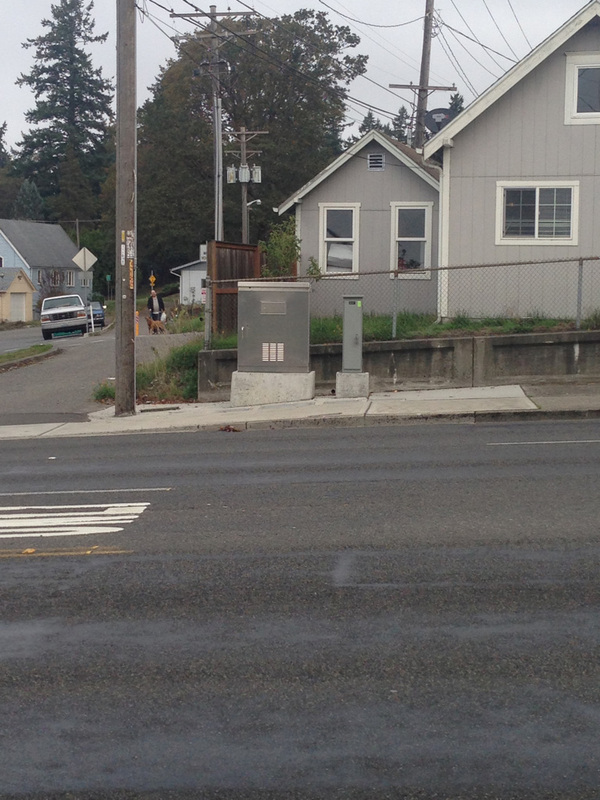 4 will be installed on two traffic boxes in Tacoma. Neighborhood #4 in layout design for the Traffic Box wrap. Before photo of location #1 for the Traffic box wrap. Before photo of location #2 for the Traffic box wrap. The wraps have been installed! Sarah Bodman, Senior Research Fellow for Artists’ Books, and Printmaking Centre for Fine Print Research at the University of West England (UWE), Bristol, UK has invited Puget Sound Book Artists to display work at the UWE gallery during the period July 1 – August 21, 2016. (http://www.uwe.ac.uk/sca/research/cfpr/index.html) This exhibition highlighted works from an invited group of PSBA members. Many of the pieces in the exhibition have been a part of past PSBA annual exhibitions or exhibitions supported by PSBA. Jane Carlin, Pat Chupa, Debbi Commodore organized the exhibition with Sarah Bodman. Neighborhood No.4 and Neighborhood No. 3 were selected as a part of the exhibition.